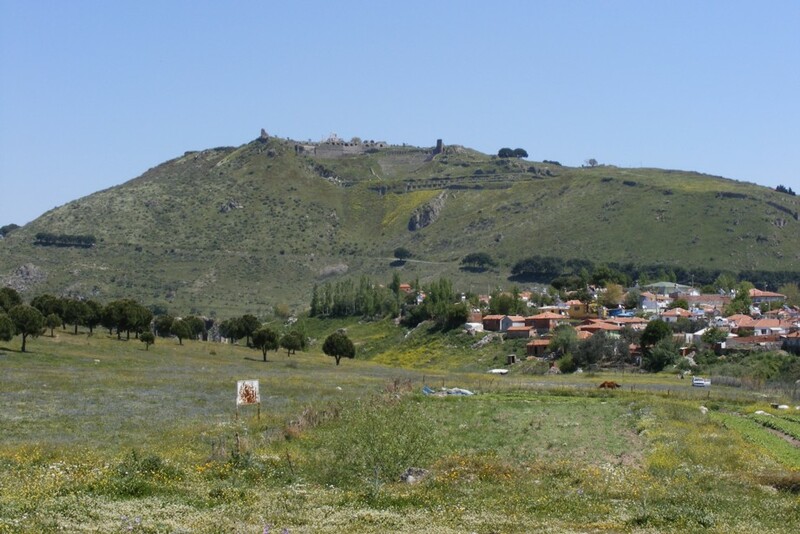 The day started fine and sunny with a cool wind, but the wind died down later. 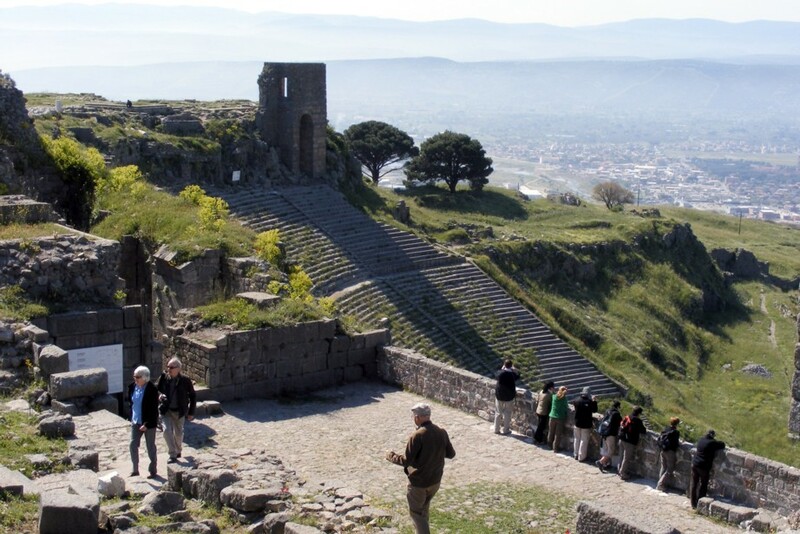 The ruins of Pergamon were impressive and located on top of a hill. 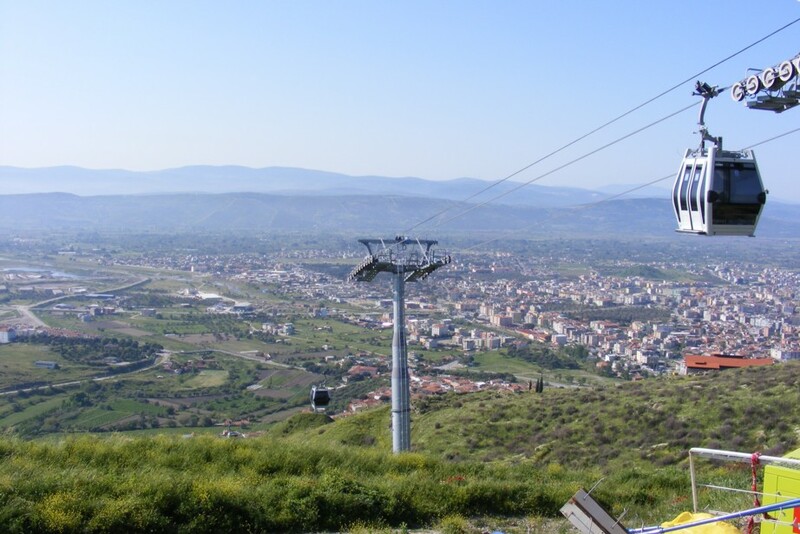 We took a cable car to the top of the hill and walked down viewing the site as we came. 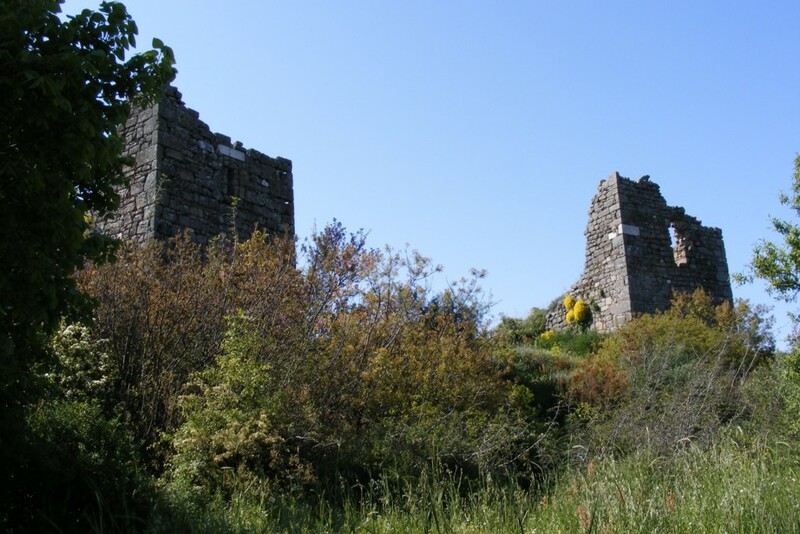 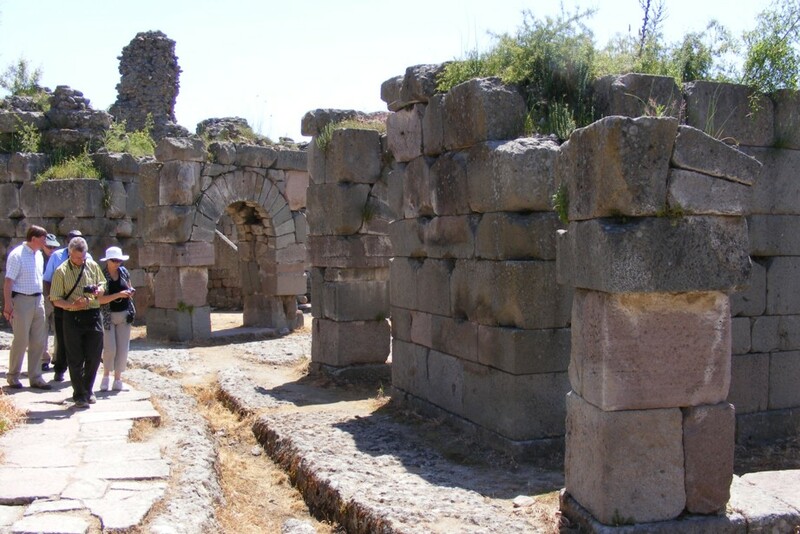 The ruins encompassed both pre Roman and Roman Period buildings. 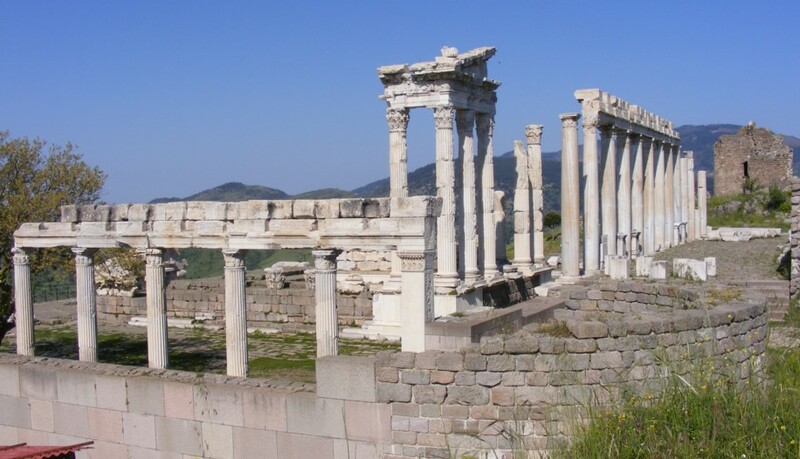 Temple building near theatre. 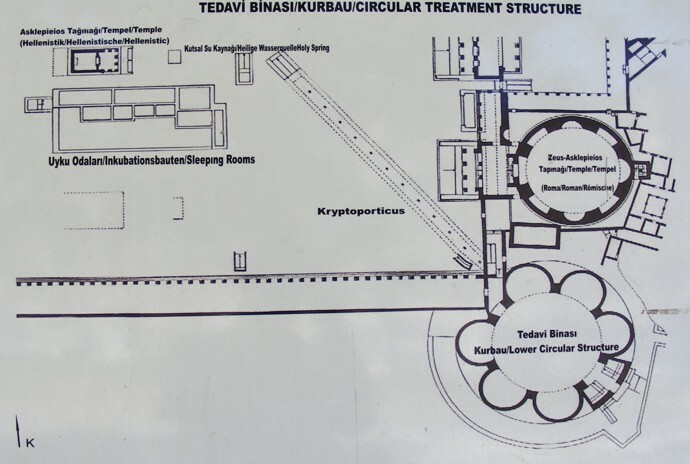 The temple was built on a vaulted platform. 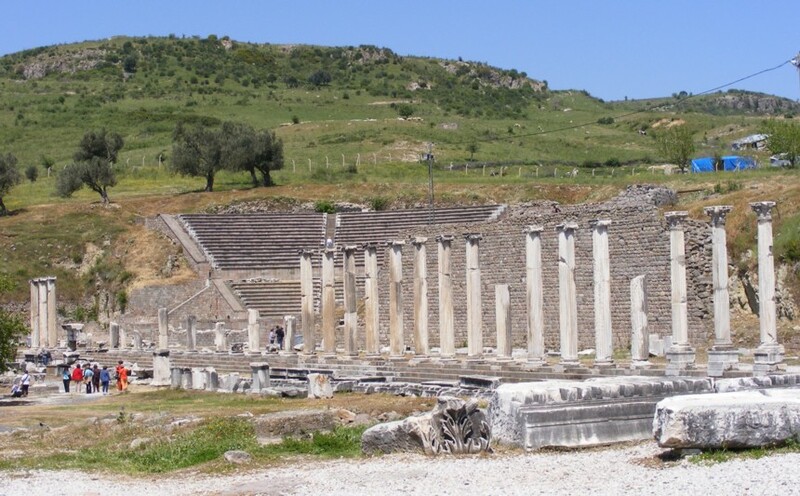 The theatre was built into the hillside. 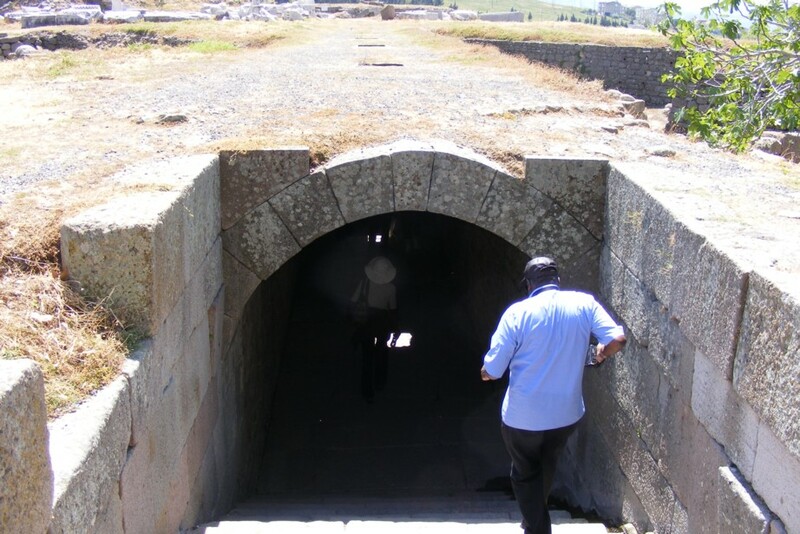 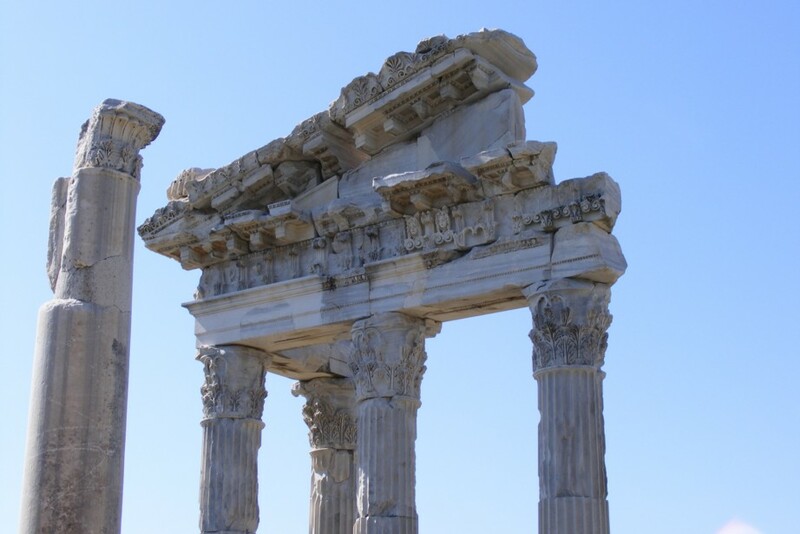 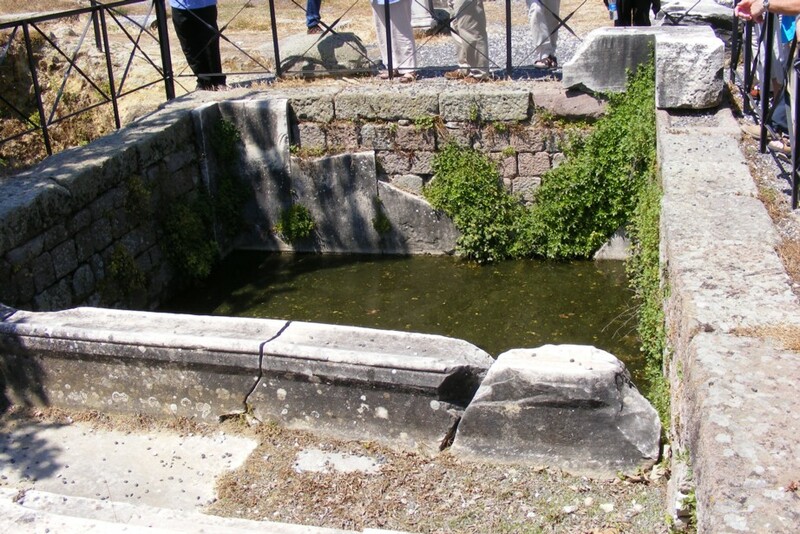 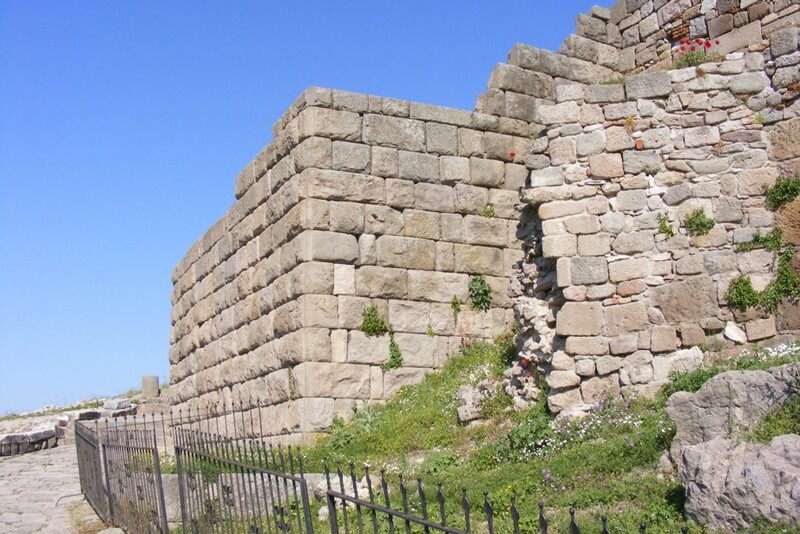 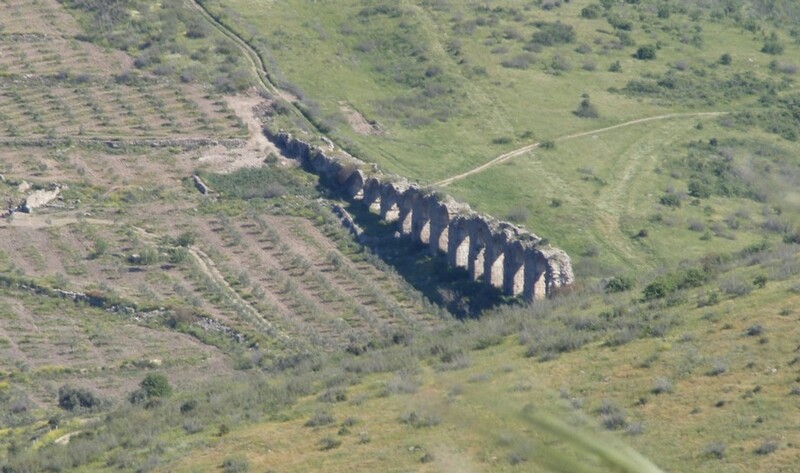 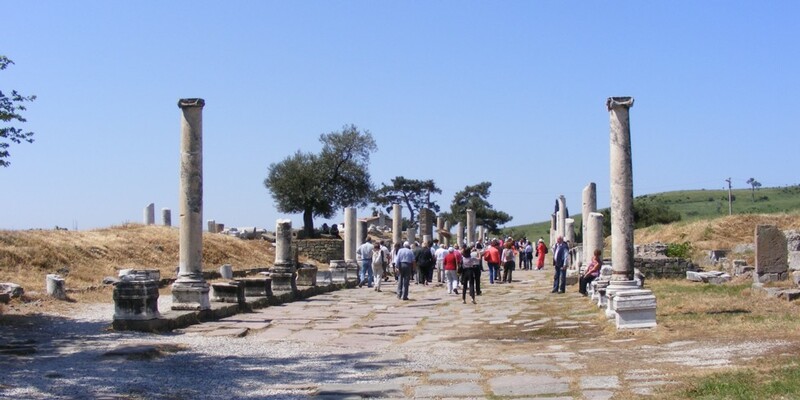 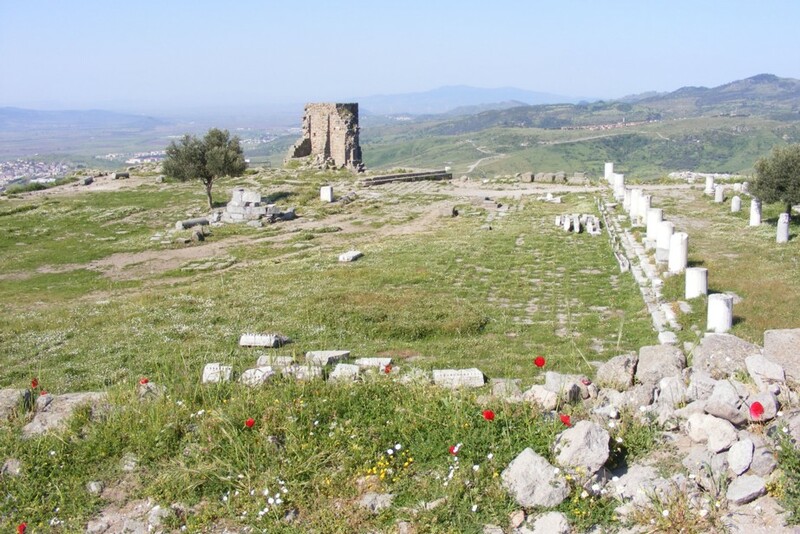 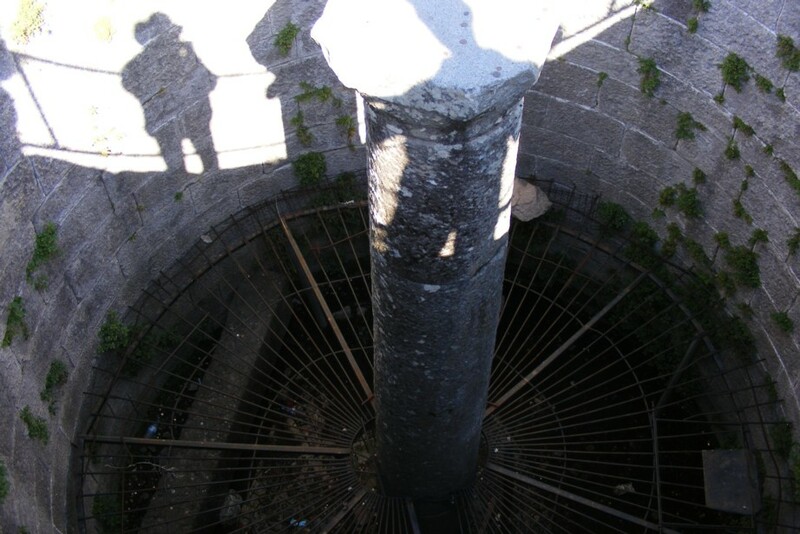 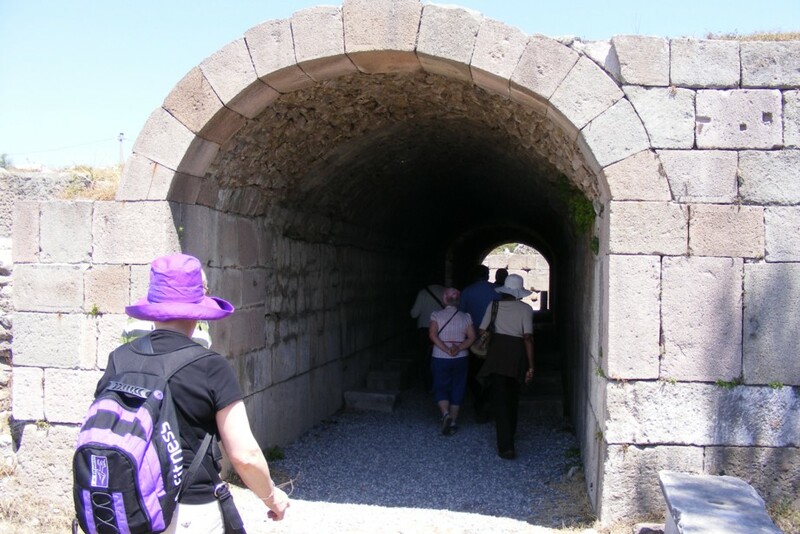 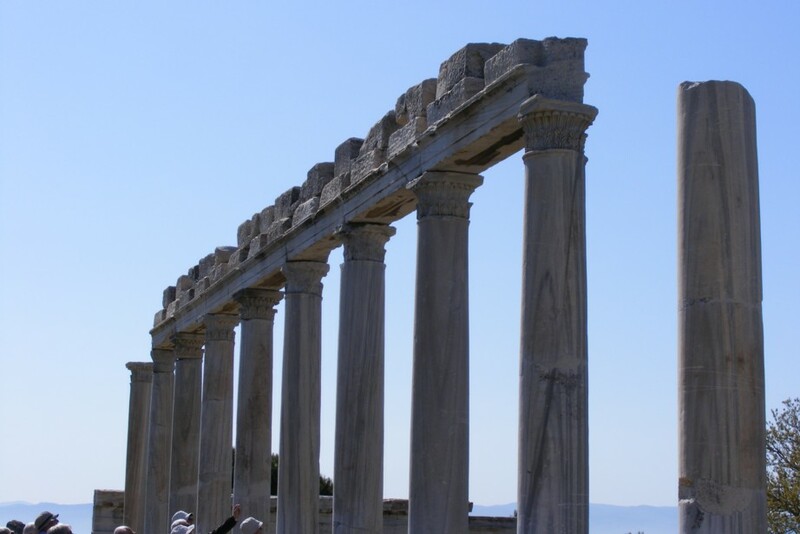 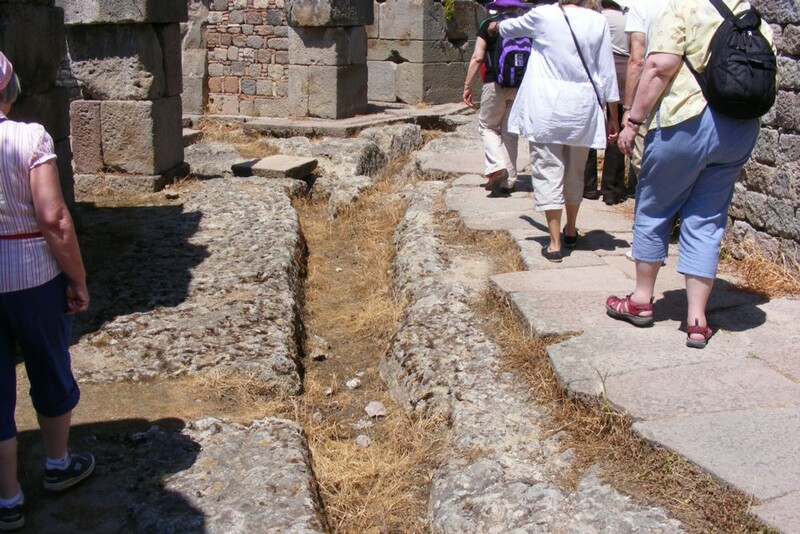 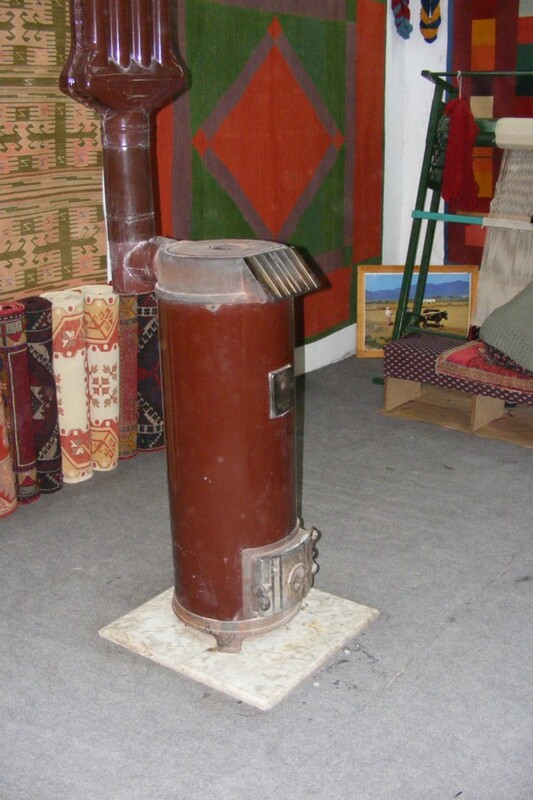 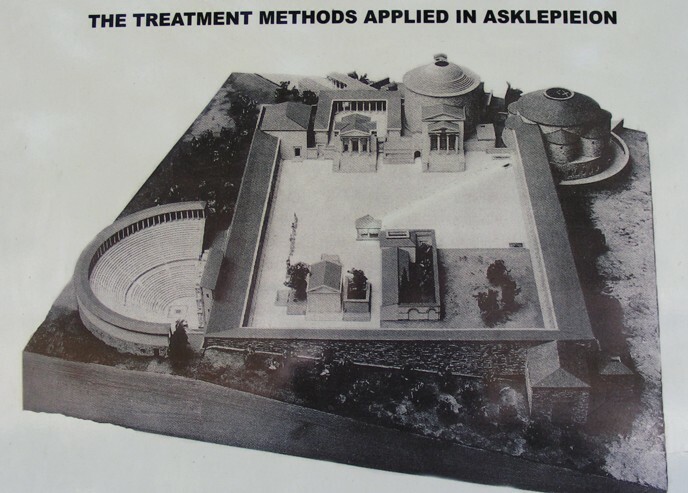 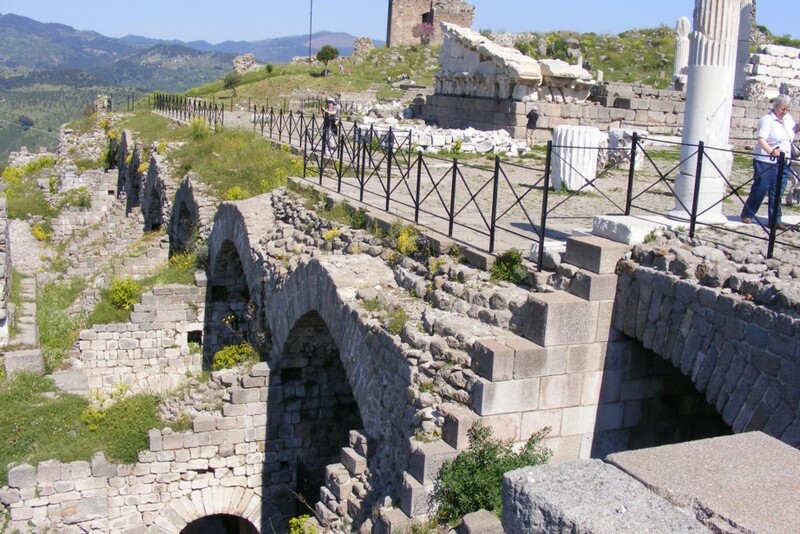 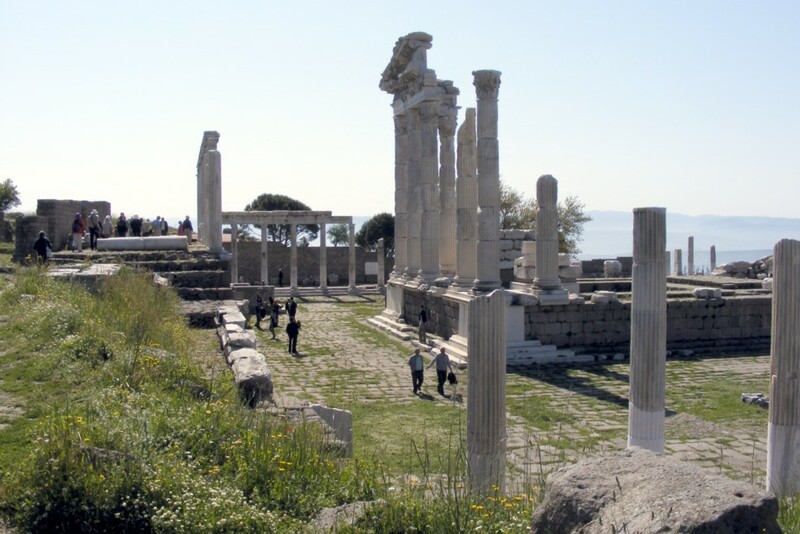 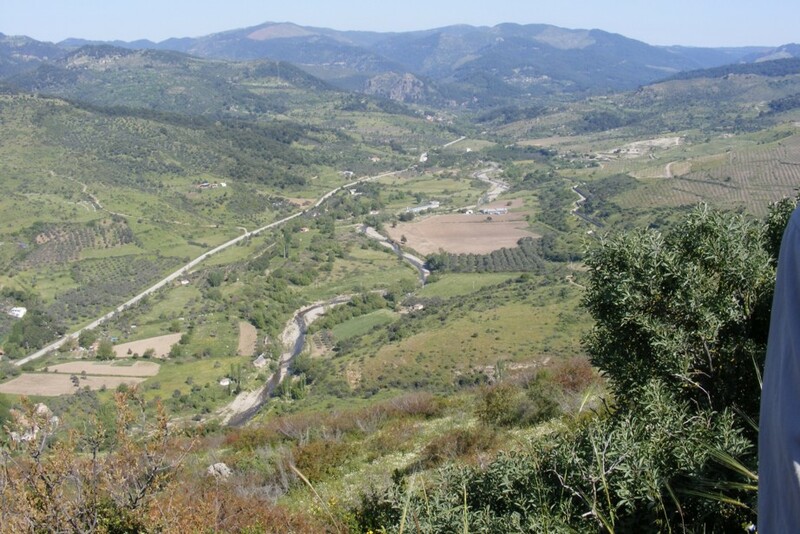 About 3 km from Pergamon citadel and connected by a paved sacred way (Via Tekta) there was a medical and healing centre known as The Asclepion. 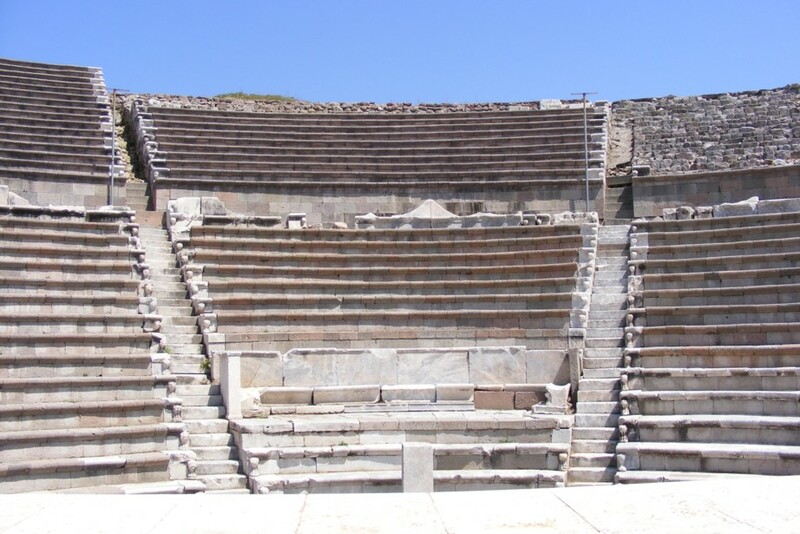 The theatre at this end of the complex was a small one but nicely built and decorated. 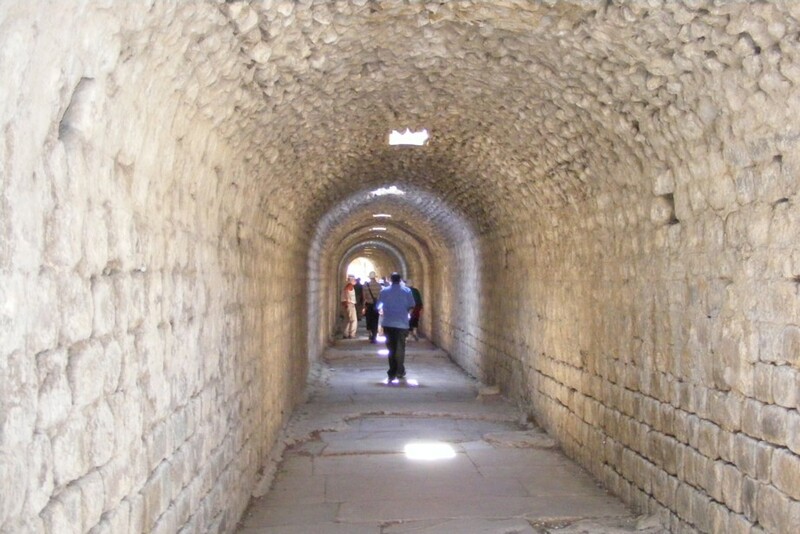 Further underground passage along the complex to the exit. 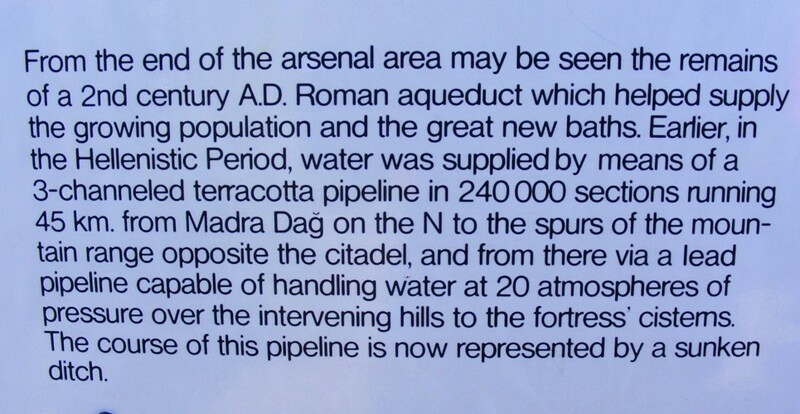 Information board. 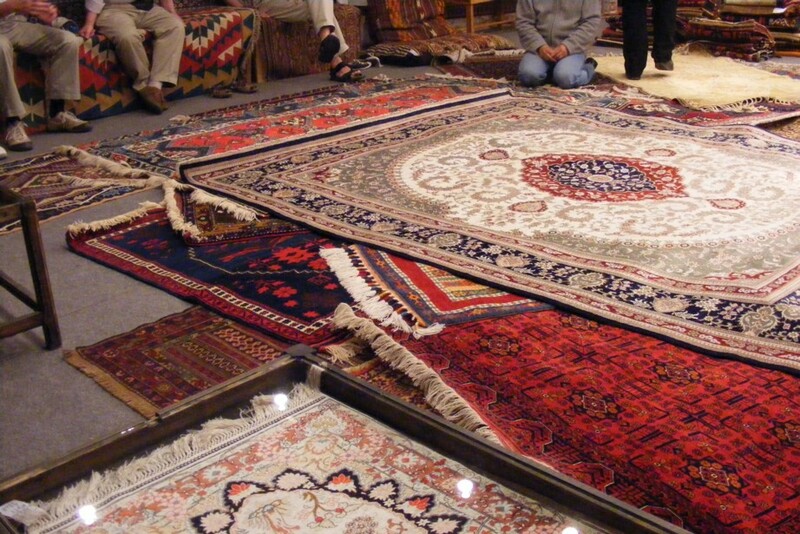 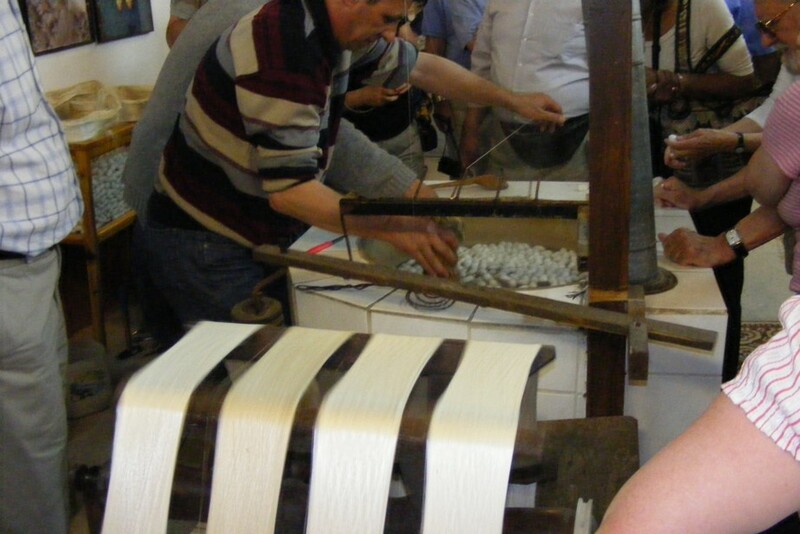 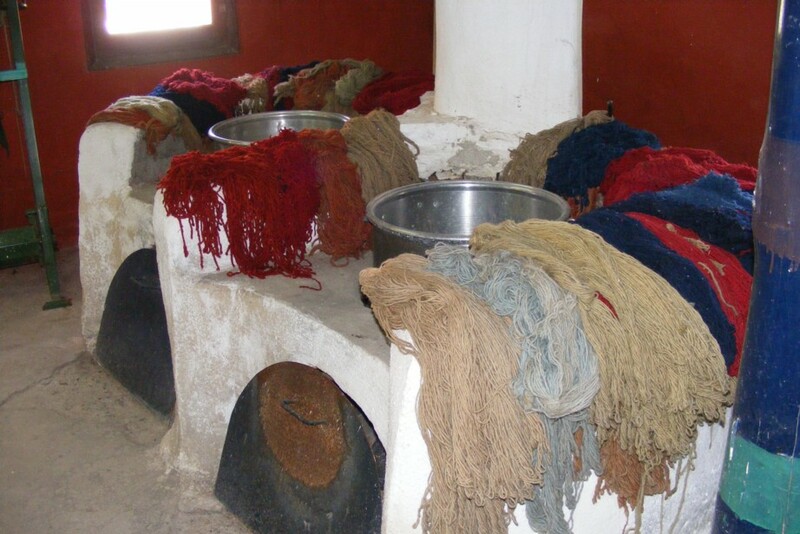 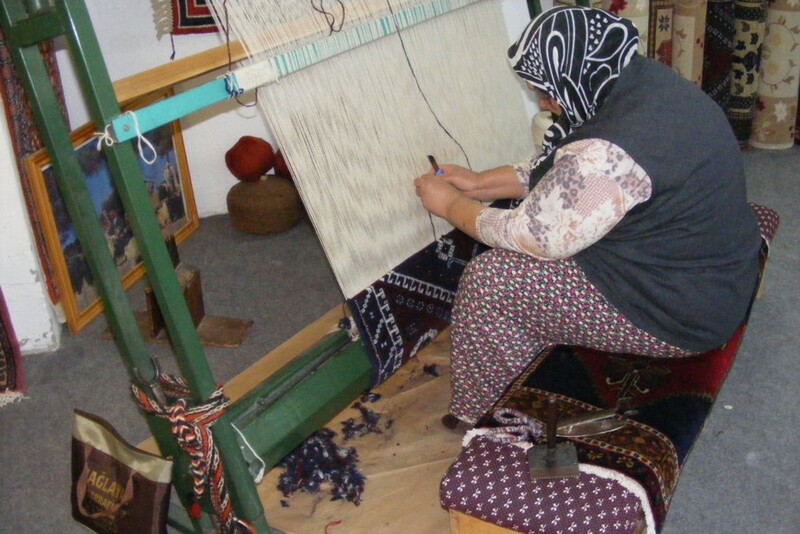 We then had lunch in a nearby Turkish restaurant and then continued to a hand woven carpet 'factory', very similar to one we saw in Egypt last year.